This new LG mobile phone has a sophisticated and very slim design mobile you can easily fits in your purse or pocket. 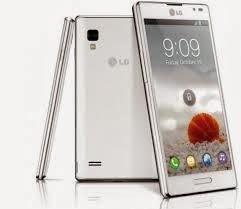 LG Optimus L9 2 comes with new features and you can take it anywhere. Processor: 1.2 GHz dual-core snapdragon S4 MSM8320 processor with Adreno 305 GPU.